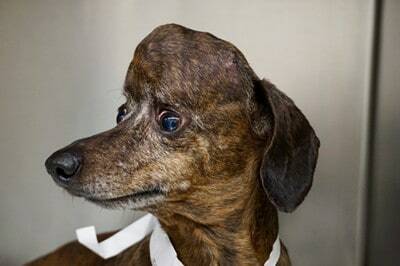 Patches, the dachsund, with a big tumor, before surgery. FCVC hopes you enjoyed this wonderful story. Hopefully, 3D technology will come to the rescue of more animals in the future. Until this technology becomes readily available to all veterinary practices, should you notice a growth of any kind on your pet, it is always a good idea to get it checked out early. Please make an appointment at 970-587-5140. Articles that may interest you – Pet Dogs Die After Eating Toxic Mushrooms in Own Yard and Animal Safety and Protection Tips For Your Pets.